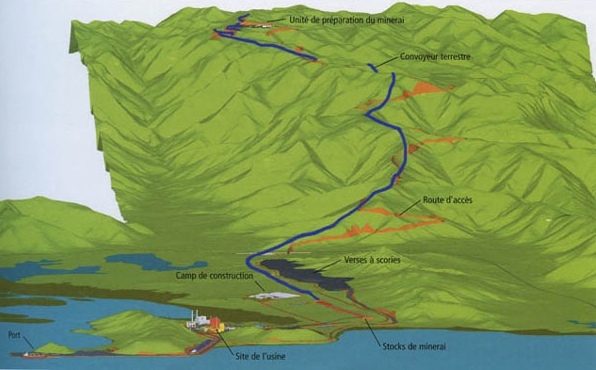 The choice of ore and waste transport method is one that requires careful calculation of all the economic implications based on factors such as realistic reliability expectations, flexibility for changing circumstances, manpower requirements, energy consumption, maintenance requirements and, not least, capacity. In many cases belt conveyors are an ideal option, but it is a big decision affecting the economics of the whole mining operation. As the average life of expectancy of mines reduces the main consideration turns to flexibility in bulk transport, but, as with shaft winding, if it can be shown that a trunk transport route is unlikely to change frequently, then a belt conveyor can easily be the best option. Belt conveyors are of particular value for low density, lower value minerals, such as coal, and where the available space is limited, such as in underground sections. 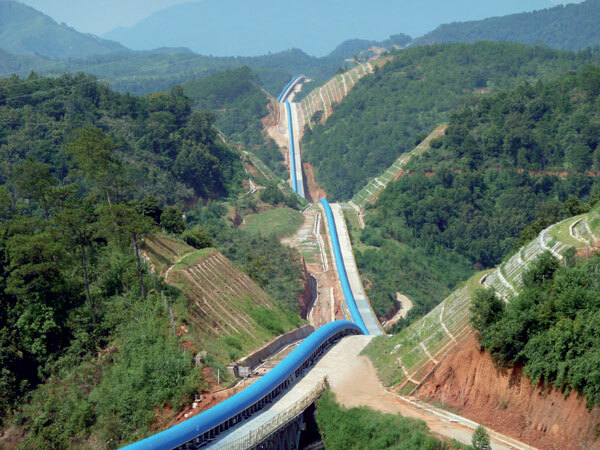 Even on the surface belt conveyors are a valued option such as where the mine layout allows the establishment of semi-permanent transport on one alignment, or where a transport route can serve several mines, pits or a central processing plant or dispatch facility. 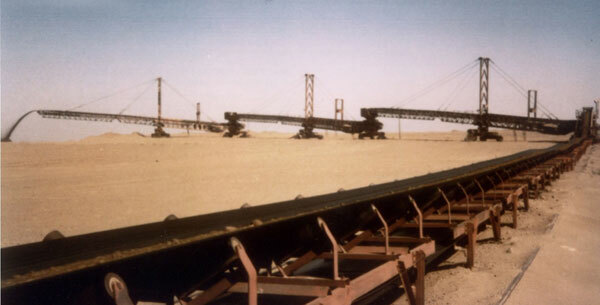 Where planning considerations allow, belt conveyors can be used over long distances from mines to, for example, a port. Modern technology, and improved reliability, of conveyors allows their use over more uneven terrain including horizontal and well as vertical curves, and minimises necessary supervision. The need for reliability of conveyors in main transport locations cannot be over emphasised since a fault can halt all mine production, whereas one truck breakdown, for example, will result in a relatively small production shortfall. RBL-REI of France has long specialised in long-distance conveyors including underground and surface installation, especially ‘overland’. Its range of available technologies include Curvoduc installations to tackle multiple horizontal and vertical curves, downhill conveyors that regenerate energy to significantly reduce overall power consumption and covered ‘tube’ conveyors to prevent dust emission and deterioration of fragile minerals. 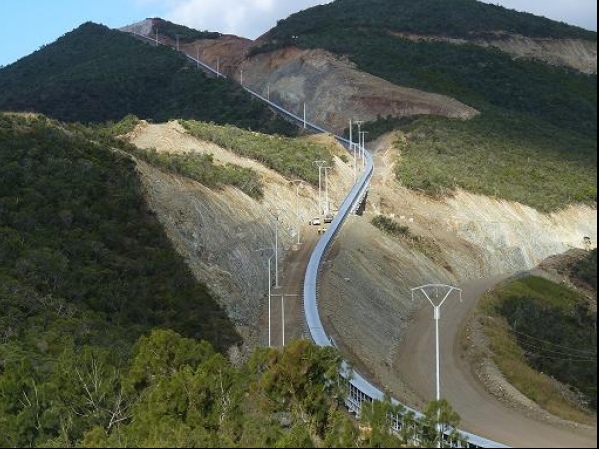 A recent overland installation in a New Caledonia nickel mine included a series of Curvoduc conveyors with a capacity of 770t/h using a belt speed of 3.5m/s.